I love the beginning of November because for me it officially marks the run up to Christmas! It’s the time of year when I give my wardrobe a clear out, buy some new knitwear, and refresh my bedroom. The pretty floral bedding and pastel print cushions are banished away until spring time and out comes my winter duvet and snuggly blankets. 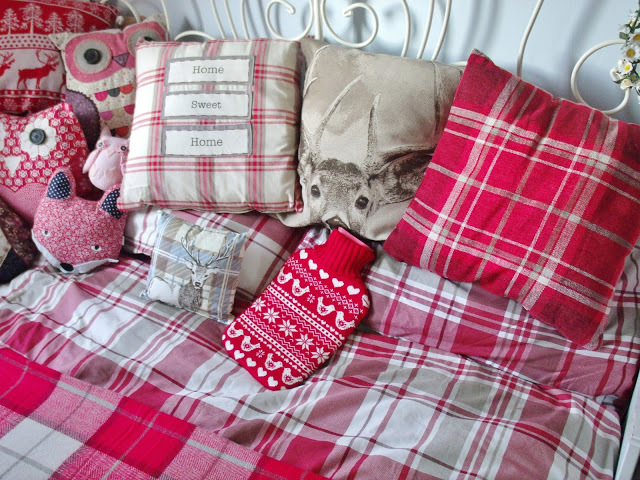 This year I have a few new additions to my winter wonderland bedroom thanks to George at Asda including this beautiful cosy red checked duvet set. The deep red and cream colours are so lovely for this time of year, without being too festive (in December the proper Christmas bedding comes out!). And it provides the perfect backdrop to my cute new winter scatter cushions! I’ve also been checking out these duvet reviews from The Dozy Owl to find out which is most suitable for me! 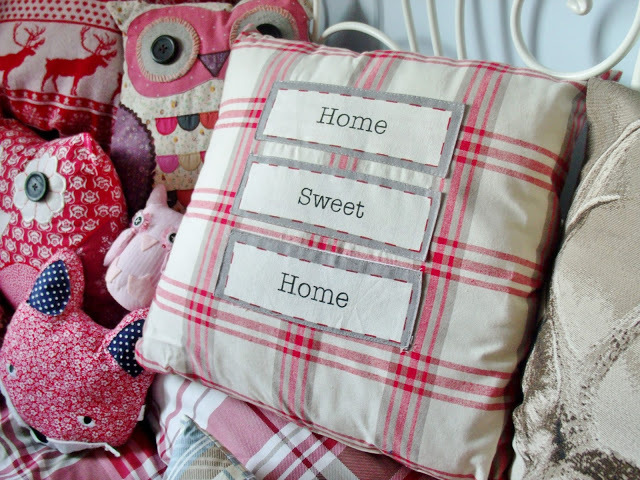 The Home Sweet Home cushion is my favourite, and it matches the bedding perfectly, along with the plain red check cushion. 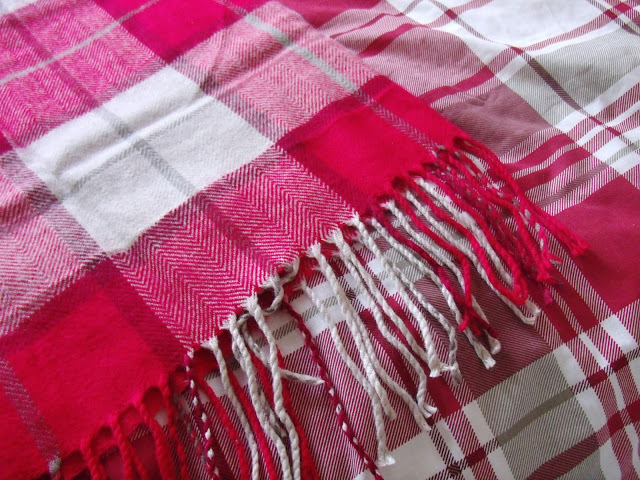 I also have the matching red check blanket throw too, which sits at the bottom of my bed to keep my toes warm. 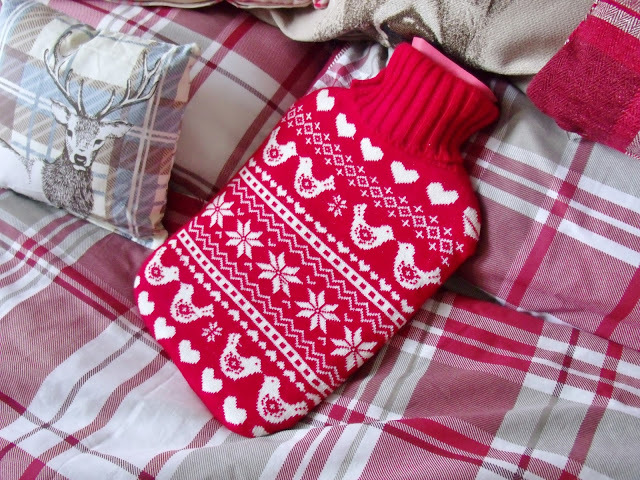 And to keep me extra snug, I have this adorable Scandinavian fair isle print knitted hot water bottle.. so cute! 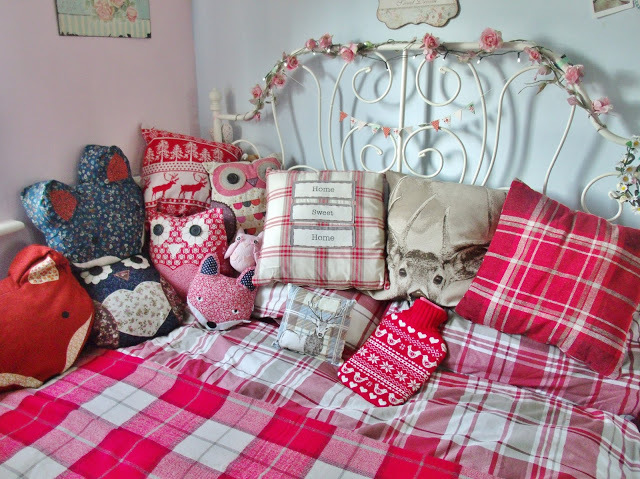 Of course I still have all of my winter cushions from last year too, including the big stag head one and all of the Sass and Belle owl/fox cushions! And finally, how lovely is this squirrel bell jar?! It looks so sweet with my matching bunny rabbit one! Now my bedroom is the perfect cosy retreat for those cold winter nights.. thanks George! Oh my gosh I need those bell jars! They are so adorable. Everything looks so cosy & warm in your little retreat. You've made everything look so homely! I need to get some wintery bedding, the pastels aren't cutting it for me now it's November! This looks so cosy and ideal for cosy days with hot chocolate!